Dr. Alice Cepeda is currently an Associate Professor in the School of Social Work at the University of Southern California. She received her PhD from the City University of New York Graduate Center. Her work has focused on the social epidemiology of drug use and the related health risk behaviors that disproportionately affect urban Mexican-origin minority populations, including violence, HIV/STI infection risks and mental health conditions. Dr. Cepeda’s research has also highlighted the unique gendered experiences encountered by females within this cultural context. 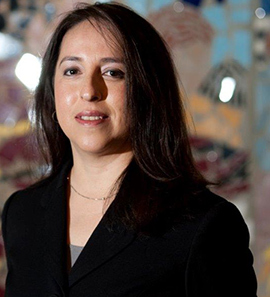 She is currently the principal investigator of a NIH/NIDA supported study examining the long-term health consequences of drug use and intimate partner violence on Mexican American females who were associated with male gang members as adolescents. Additionally, she recently completed a Bill & Melinda Gates Foundation Grand Challenges Exploration-funded feasibility study of an HIV intervention using projection mapping technology among active crack users in Mexico City. Dr. Cepeda has been a multiple recipient of NIH/NIDA, the National Center on Minority Health, and Health Disparities Loan Repayment Program. Cepeda, A., Nowotny, K. M., & Valdez, A. (2016). Trajectories of Aging Long-Term Mexican American Heroin Injectors: The “Maturing Out” Paradox. Journal of Aging and Health, 28(1), 19-39. Cepeda, A., Nowotny, K. M., Frankeberger, J., & Valdez, A. (2016). Precocious transitions and long-term heroin use outcomes: A longitudinal study of gang-affiliated Mexican-American males. Addictive Behaviors, 60, 48-52. Cepeda, A., Saint Onge, J. M., Nowotny, K. M., & Valdez, A. (2015). Associations between long-term gang membership and informal social control processes, drug use, and delinquent behavior among Mexican American youth. International Journal of Offender Therapy and Comparative Criminology, 60(13), 1532-158.